The VHF transceiver of BIRDS-2 CubeSats, meant for Automatic Packet Reporting System (APRS) Digipeater is alive now. The ground station in KyuTech confirmed reception of beacon from the satellites and also some amateurs have been able to decode the beacon. All interested amateurs are welcome to send their packets for digipeating. And also, the confirmation of the digipeat or the beacon from the radio to the team from here. JAXA has released video of release of BIRDS-2 CubeSats from ISS. If you missed the live event, you can look back into how it happened. Thank to JAXA for all their support. Updated TLE can also be found here. We will update the TLE on our Amateur Radio page. There has been some inquiries about the APRS Digipeater that is on-board all the CubeSats of BIRDS-2 Project deployed yesterday from the ISS. At this moment the team would like to clarify that the APRS transceiver is one of the technology demonstration payload and it is initially Turned OFF. These transceivers will be Turned ON later after the initial operation of the CubeSats whereby the team will confirm that all systems of the satellite is performing well. The schedule of operations of APRS mission and details about the APRS-DP will be posted on this website soon. Apologies for the inconvenience. Kindly bear with us a little longer. The team is looking forward to starting the mission soon. The 3 CubeSats of BIRDS-2 Project, BHUTAN-1, MAYA-1 and UiTMSat-1 was released into orbit yesterday (August 10, 2018) from the JAXA’s Kibo Module of ISS. Astronaut Alexander Gerst has share some wonderful images of the deployment captured from the ISS on his twitter account (click here to view). Soon after the deployment, the first beacon signals from all 3 satellites were heard at the Ground Station in Mongolia which is a part of BIRDS GSN. Soon after, the Team also received beacon signals at the KyuTech Ground station. Following that many amateur users including other ground stations of the BIRDS GSN have reported reception of beacon signals. As of now the satellites seems to be in good health and the team are now going ahead with the initial operation plan. Stay tuned for more updates. Interested in Receiving Beacon Signals from BIRDS-2 CubeSats? The BIRDS-2 CubeSats, BHUTAN-1, MAYA-1 and UiTMSat-1 are bound to be released from the ISS on Aug 10, 2018. All three CubeSats carry same UHF transceiver which is designed to transmit CW Beacon Signal @ 437.375 MHz. All interested amateur users are welcome to help us in receiving the beacon signals from the satellites once they are released from ISS. 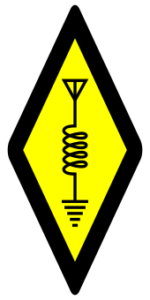 The information related to receiving the beacon signal is available here. Once you have the data, you can submit to us from here. Or simply follow this link. We look forward to hearing from you. Author birds2Posted on August 9, 2018 August 9, 2018 1 Comment on Interested in Receiving Beacon Signals from BIRDS-2 CubeSats? The release of BIRDS-2 CubeSat from the Japanese Kibo Module of ISS will be broadcast live on YouTube by JAXA. Make sure to stay tuned. The Deployment will take place on August 10, 2018 at around 18:45 JST. We have a date. The three CubeSats of BIRDS-2 project are scheduled to be released from the JAXA Kibo Module of ISS on August 10, 2018, 18:45 JST (UTC+9). Based on our initial calculations, the satellites are expected to be flying above Mongolia when it starts the transmission of CW Beacon signals after 30 minutes mandatory no RF period upon release from ISS.